Hey folks! Hope you all are doing fine. 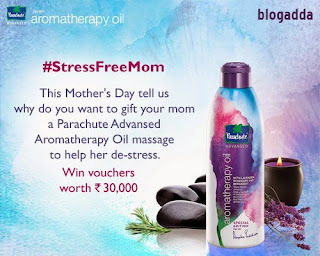 Today, I’m blogging about why my mother needs to de-stress with a Parachute Advansed Aromatherapy Oil massage for the #StressFreeMom activity at BlogAdda. Firstly, it really was a very stressful week for my mom as I had my CA Final exams going on while my brother had his MBA exams going on and you know how mothers are! My mum being so caring, she was very worried about our exam preparations, sleep, studies and that I don't spend too much time chatting with my friends. Moreover, our maid was on leave to add to her work load and stress. She's been managing the whole house alone without any help from me and added to that, my exam burden on her. She didn't even let me pick a glass of water myself so that I don't get disturbed while studying. But now that my exams our over, well, she still is stressed. Ask why? Dad's health, my result, my health, my loss of sleep due to sleepless nights during exams, my skin getting dull, whether my dad is taking medicines on time, whether dad is not tensed about business, about me gaining extra kilos of weight with my fast food habits, about her own sleep, about her children, about her own father, about grand mom's health, about my upcoming train journey (since i'll be travelling alone), about my packing and making those loads of namkeens, about me living in a new city and what not! 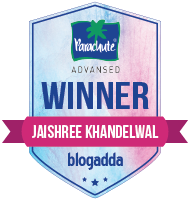 [Not to forget the biggest stress of her life being 'My marriage' :P ] So, I've decided to give her some rest and relax her worries by giving her a Parachute Advansed Aromatherapy Oil Massage which is going to act as a stress-buster! I want to give her this massage just to say a thank you to her for being the ever loving mom that she is, to thank her for waking up early morning when the whole family is asleep and even working till late night preparing our favorite food, she has been the best mom ever. To thank her for she gave up her job to look after us and I don't think anything can be more than this sacrifice. To thank her for the innumerable times she gave me head massage when I was suffering from headaches. So to say a BIG THANK YOU to mom, what better way than giving her a 'Stress Free Massage', isn't it. This is sure to make her feel special. I have decided to give her a 'champi' of Parachute Advansed Aromatherapy Oil so that she can be de-stressed after the long hectic week she has put up with, without complaining even once. Since Parachute Advansed Aromatherapy oil has aromatic plant extracts and essential oils for healing, it is sure to be the perfect way of relaxing my mom by de-stressing her and seeing her beautiful smile! Oh, did you hear that voice? She's calling me for dinner. My stressfully worderful mom! This is the story of two elderly people. 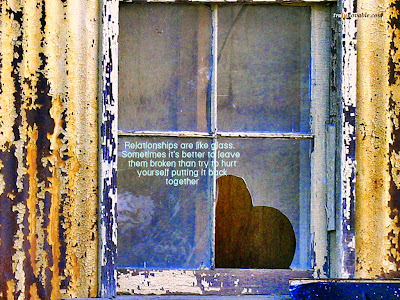 Relationships are like glass. Sometimes it's better to leave them broken than try to hurt yourself putting it back together..
Have you ever been in love? Horrible isn't it? It makes you so vulnerable.It opens your chest and it opens up your heart and it means that someone can get inside you and mess you up.You build up all these defenses,you build up a whole suit of armor,so that nothing can hurt you,then one stupid person no different from any other stupid person,wanders into your stupid life .You give them a piece of you.They didn't ask for it.They did something dumb one day,like kiss you or smile at you,and then your life isn't your own anymore.Love takes hostages.It gets inside you. It eats you out and leaves you crying in the darkness,so simple a phrase like 'maybe we should be just friends turns into a glass splinter working its way into your heart.It hurts. Not just in the imagination. Not just in the mind. It's a soul-hurt, a real gets-inside-you-and-rips-you-apart pain. And wish you had never met that person? But it is always better to forget that person rather than hurting yourself daily by allowing them to still stay in your life. This website is a leading coupons and deals distribution site. And guess what, it offers coupons and deals from more than 1000 stores. Stores like Amazon, makemytrip, freecharge, ola, homeshop18 and many many more are on their list. Wouldn't you love to get some amazing deals &amp; discounts and save a lot of money? I have saved a good amount from using this website. One of my favorite stores on this website is freecharge. We all need mobile recharges and why just recharge when you can freecharge? Trust me, it'd be great to get discounts every time for 'Freecharging' your long mobile bills. What it offers is FREE coupons of equivalent value of your recharge. Many coupons are even offered for free from many leading brands and online stores. 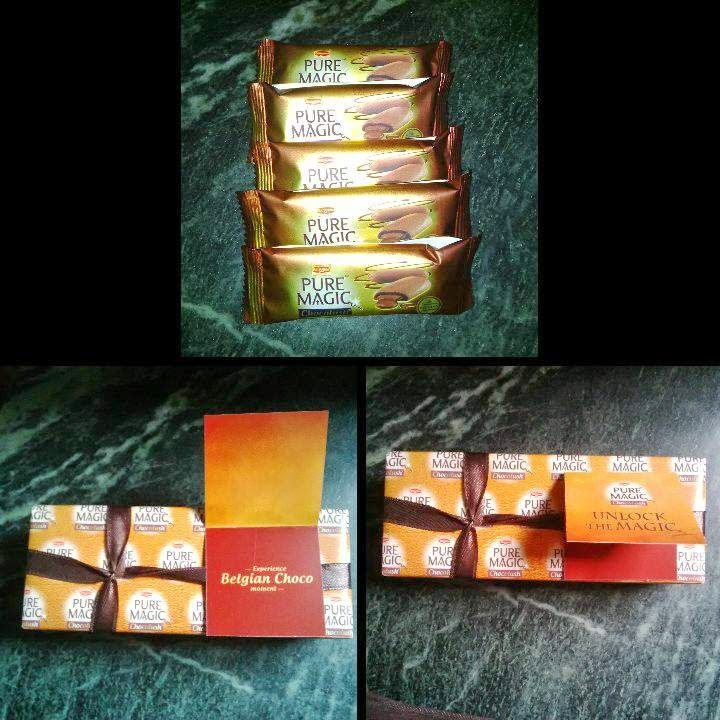 I received a packet of Britannia Pure Magic Chocolush from Britannia under a promotional event. I decided to review it after I tasted it. Also, it's cost is just INR 30. I'd rate it a 4.5/5. Thought it to be a typo? Oh no, that is what I believe in. WE see so many people around trying to copy an actor, sports person, singer, etc. I ask WHY? Why to run away from who you are? Some try to act over-smart, some try to pretend they are intelligent, maybe cause of the fear of rejection. But how can you fake yourself and expect someone to love you, isn't it? Let people love you for who you are rather than who you pretend to be. 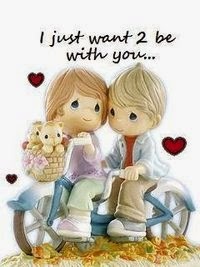 I believe every person is special the way they are. 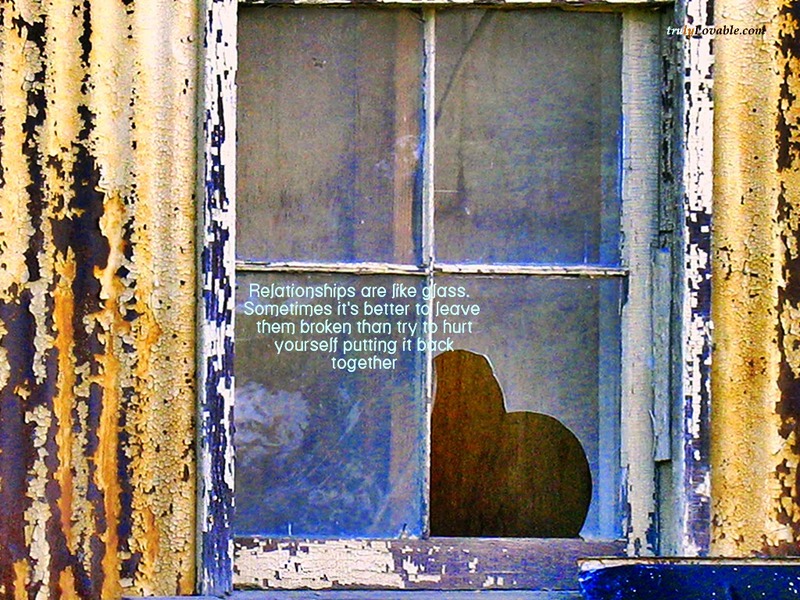 Let your real self out and be happy with the ones who accept you as you are. Don't hide yourself in a mask, don't copy somebody else, because you are born to 'BE YOU'. Will be back after exams! But don't worry, i'd be updating those incomplete posts soon. Got my CA exams. 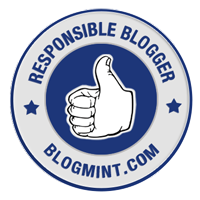 AS soona s my exams get over (17th May), I'll be working on my blog. Today I'm blogging about BankBazaar ! BankBazaar.com is internet-based multi-brand financial product comparison platform, designed to aid applicants with choosing loans and credit cards online, without need of any paper work and offline processing. It operates completely online. 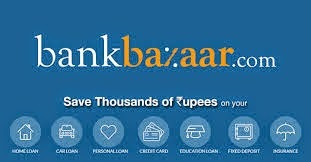 Because, why apply for a loan/credit card when you can shop online? Mother's day gift for mom! So, i had prepared for it a bit in advance. 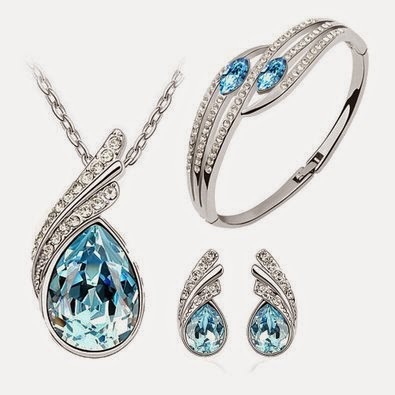 I was surfing Amazon.in and happened to find a lovely piece of jewelry - A pendant set. I instantly ordered it as a surprise gift for my mom. Amazon was quick to deliver it and the courier reached her hands only. So i thought to reveal it today itself and she was taken by surprise. Her reaction was priceless. She completely loved it. 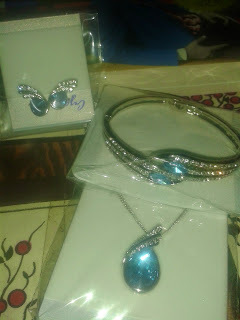 It cost me only Rs. 599.